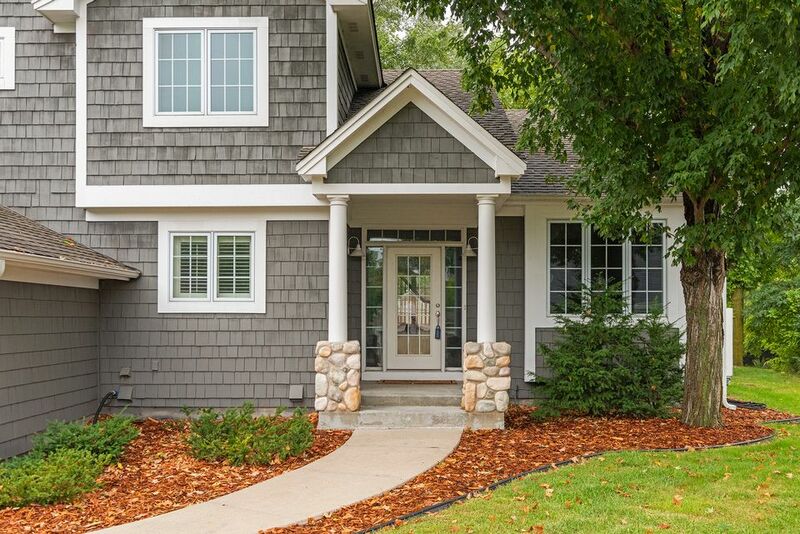 Fantastic curb appeal! 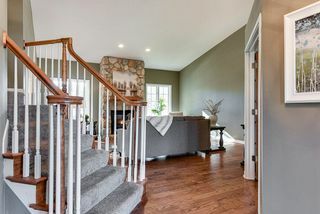 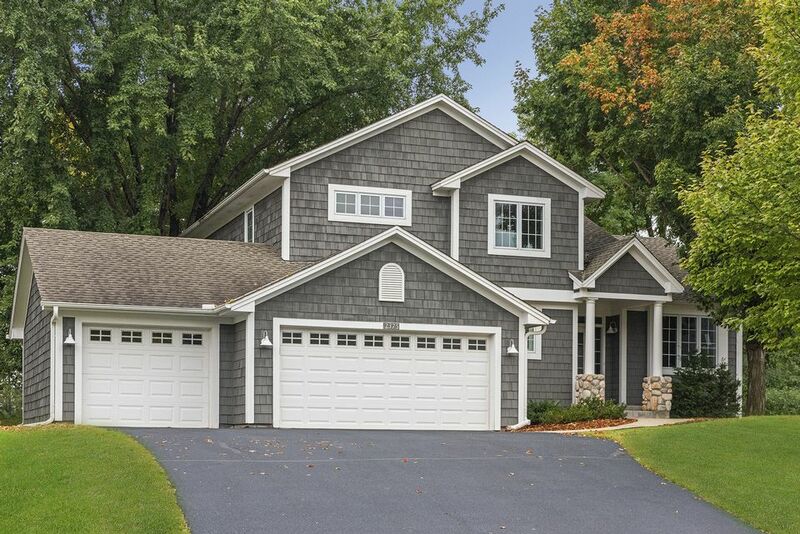 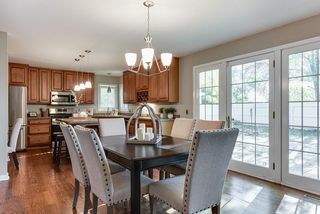 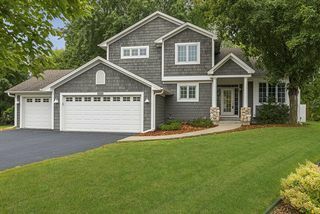 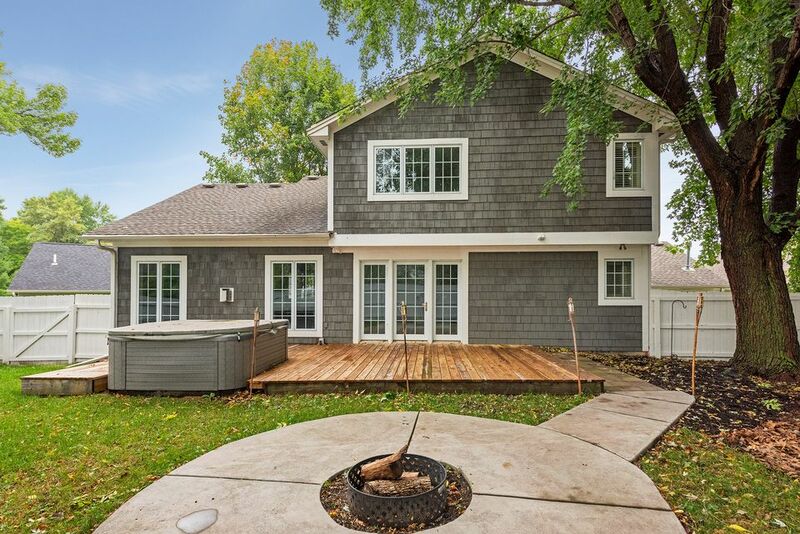 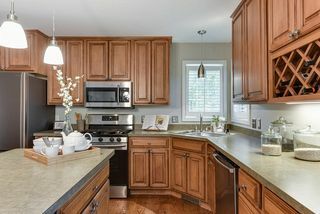 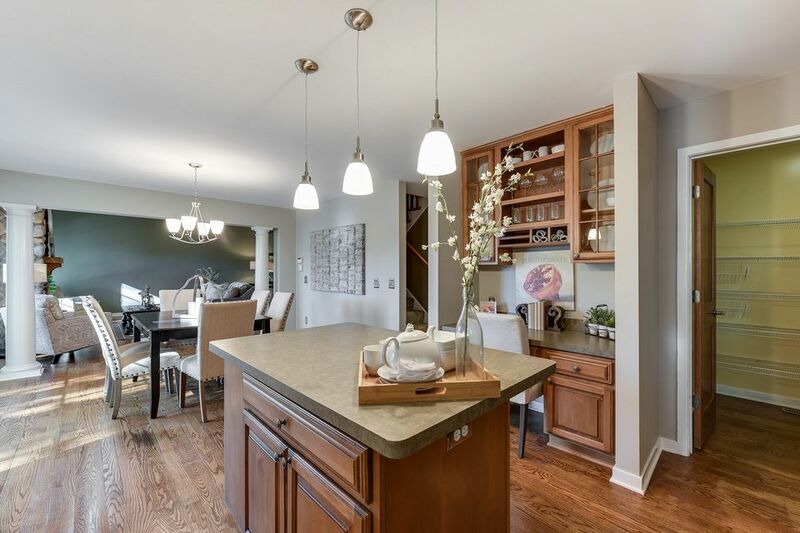 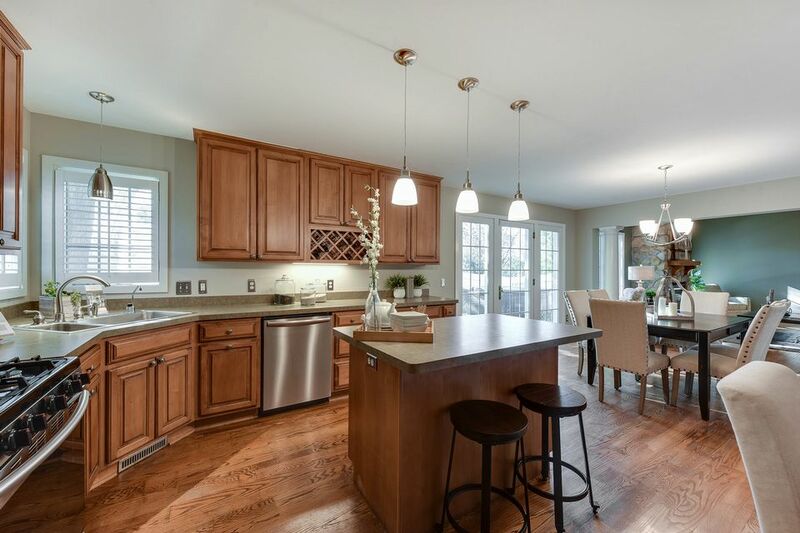 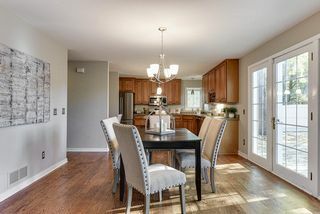 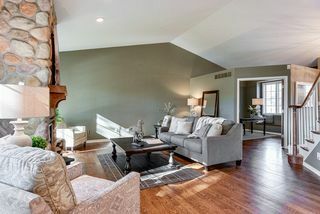 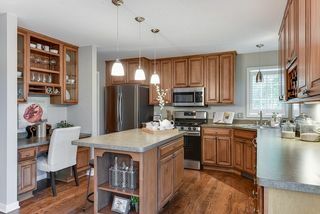 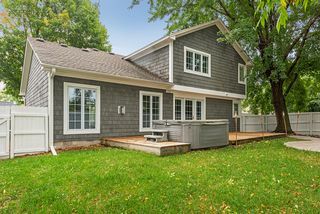 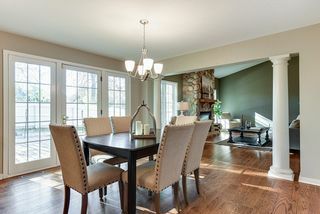 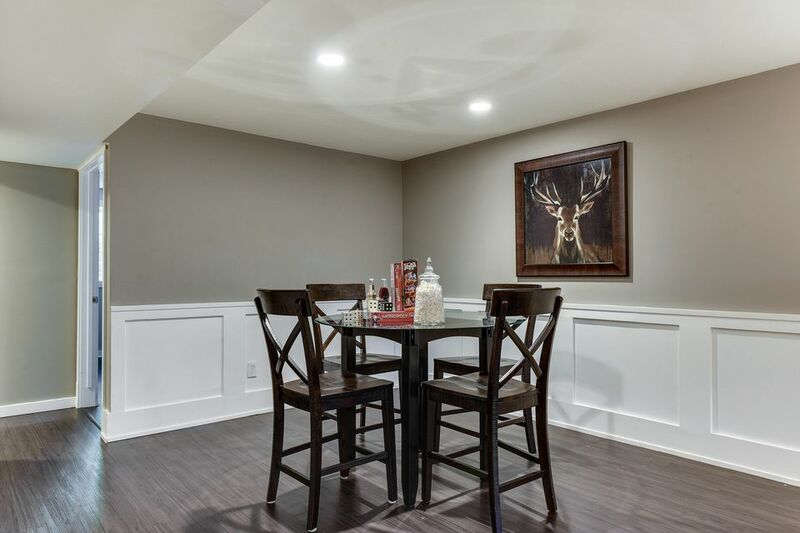 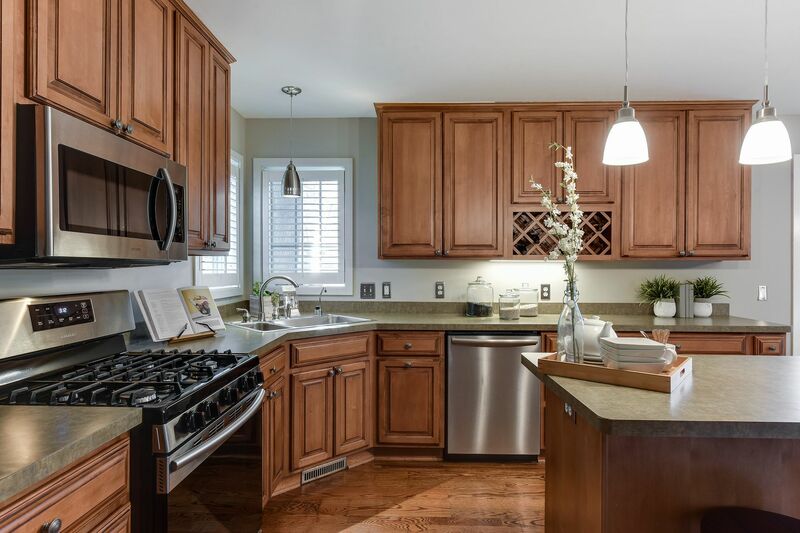 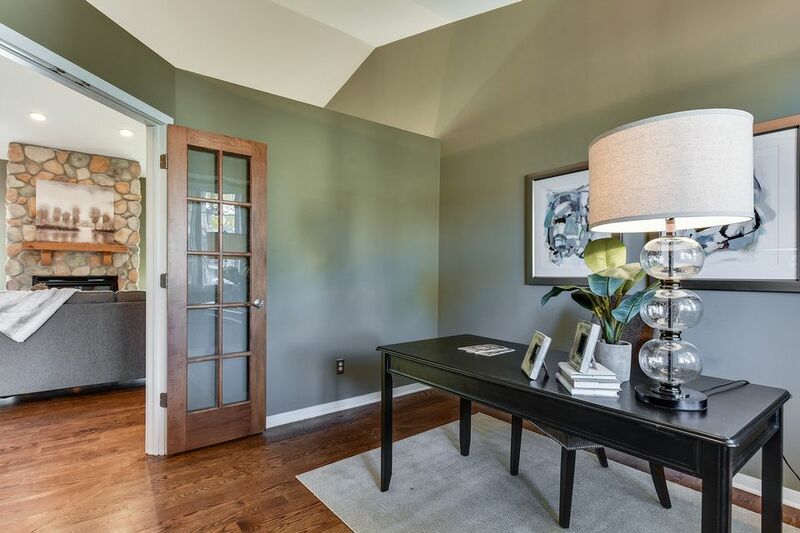 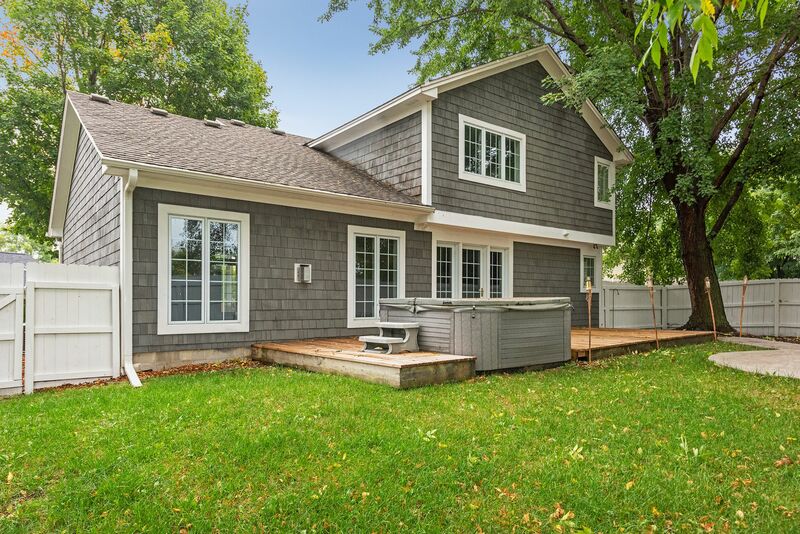 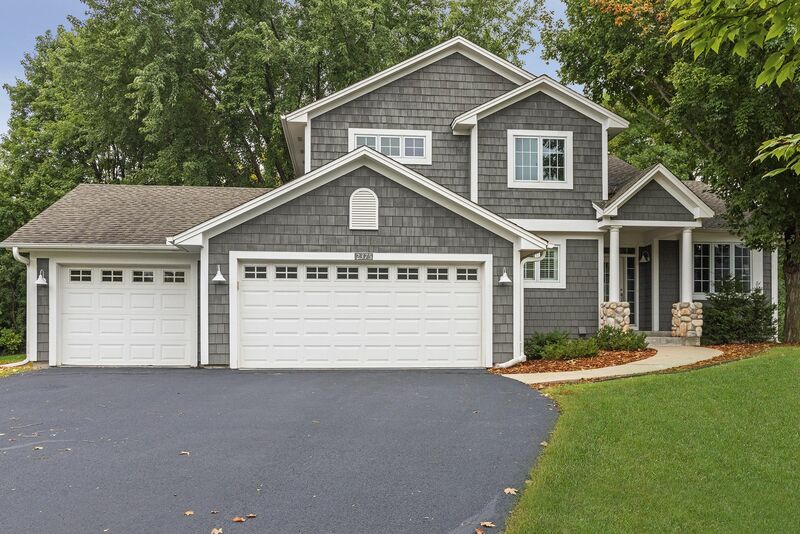 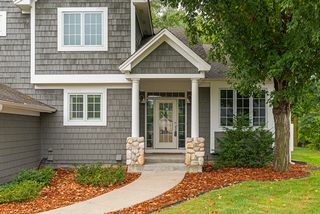 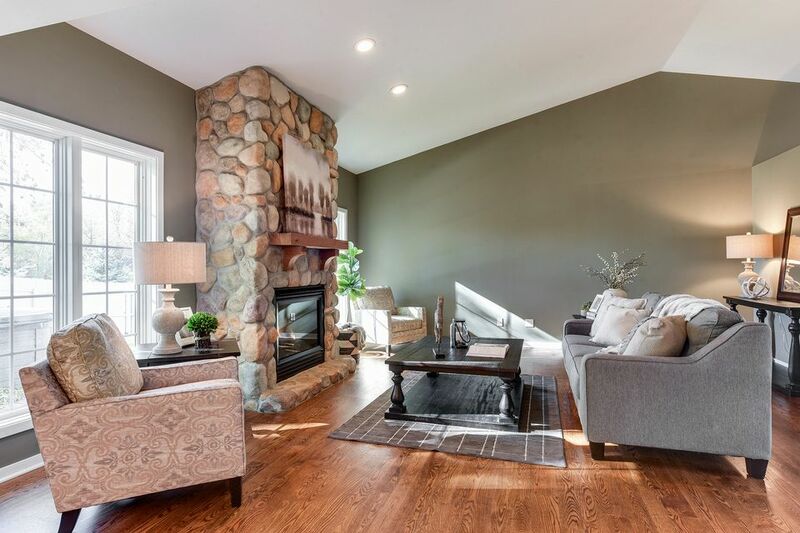 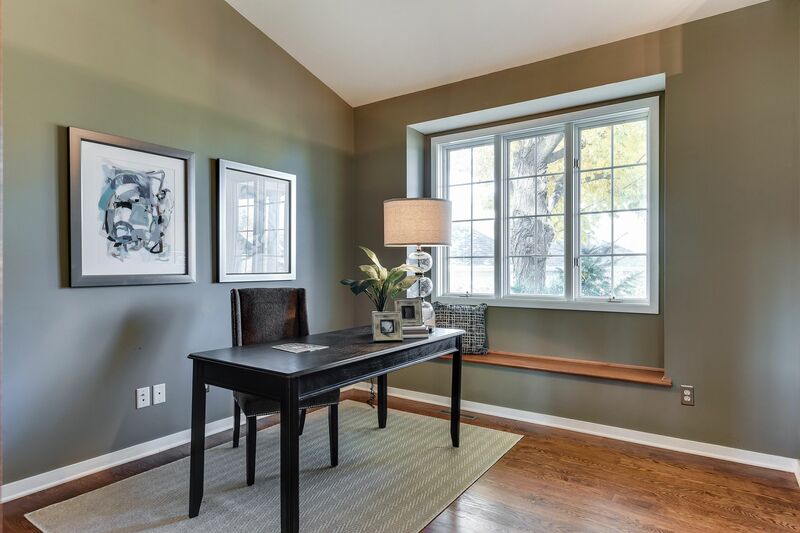 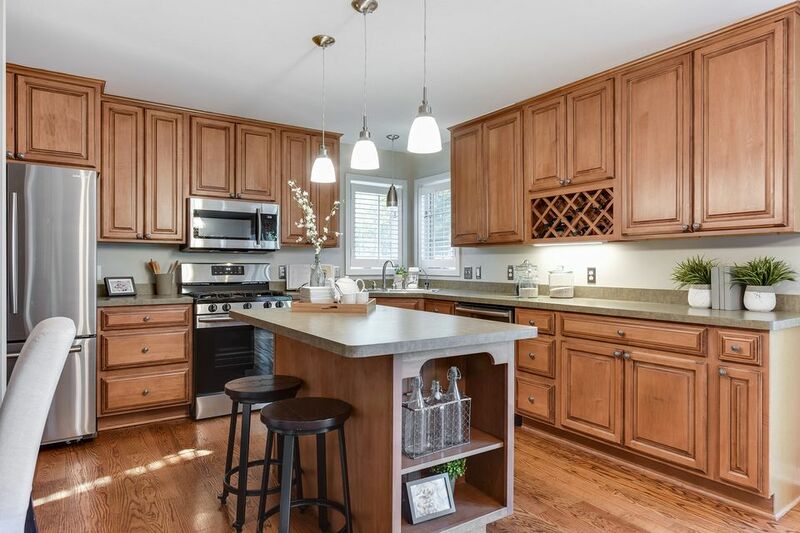 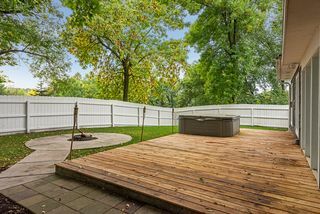 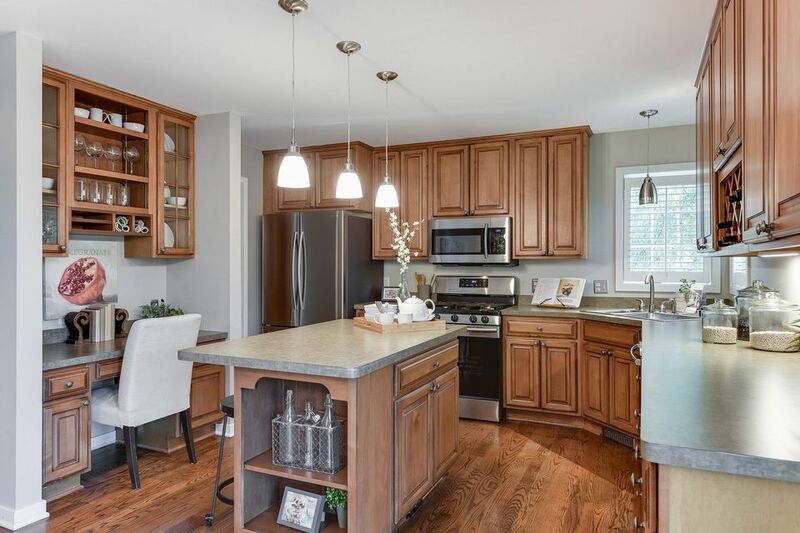 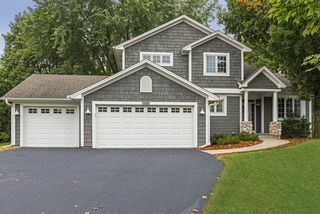 This handsome cedar shake custom built home is located on a quiet cul-de-sac just blocks away from Bluff Creek Elementary and Chanhassen High School. 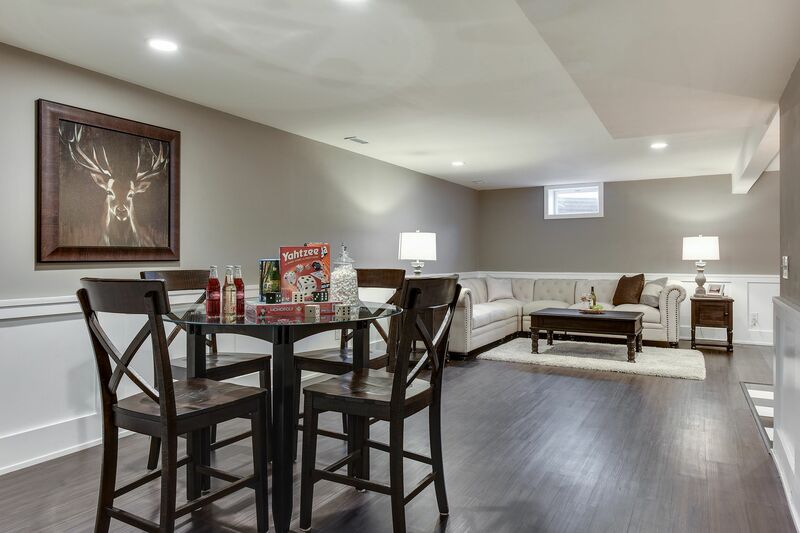 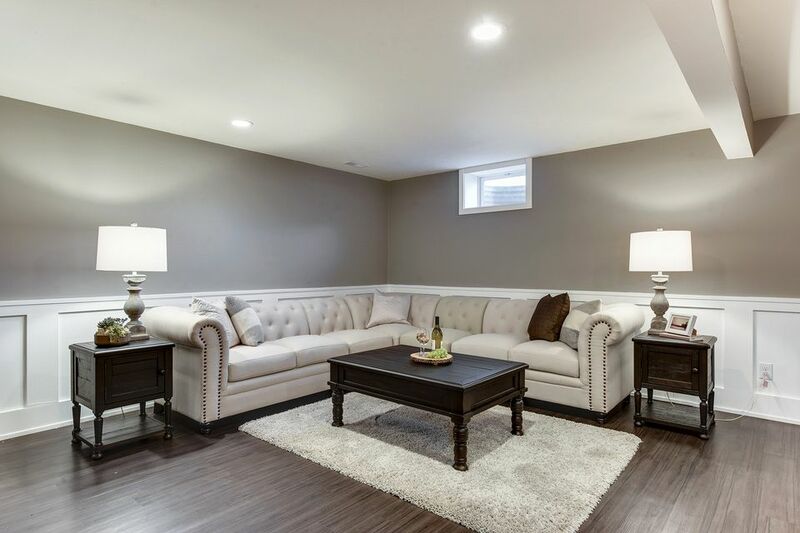 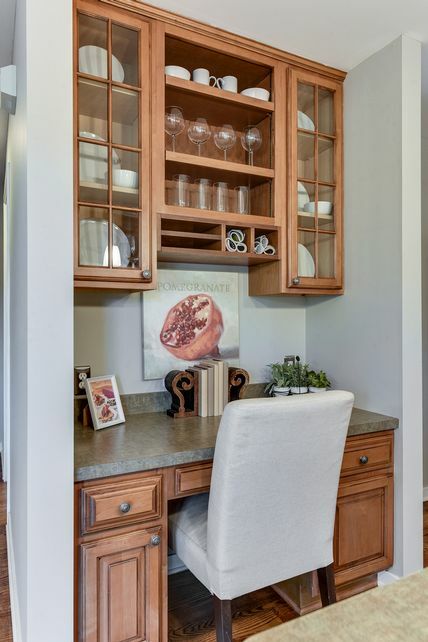 An open concept main level floor plan offers great entertaining spaces inside and out. 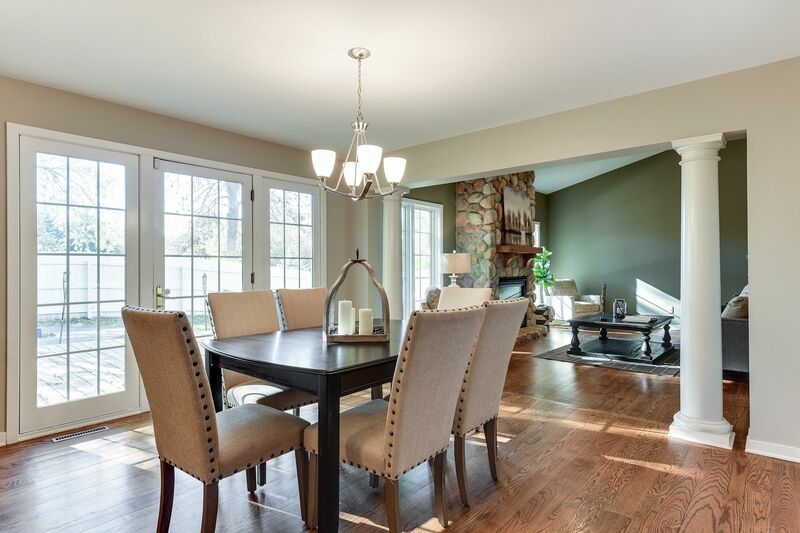 Numerous windows, glass doors and high volume ceilings allow for plenty of natural light. 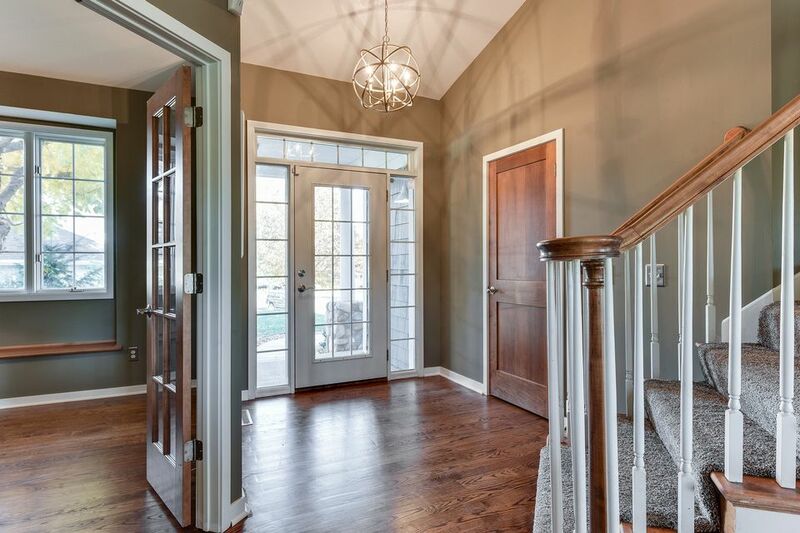 Gorgeous hardwood floors throughout the home create a casual yet somewhat elegant backdrop. 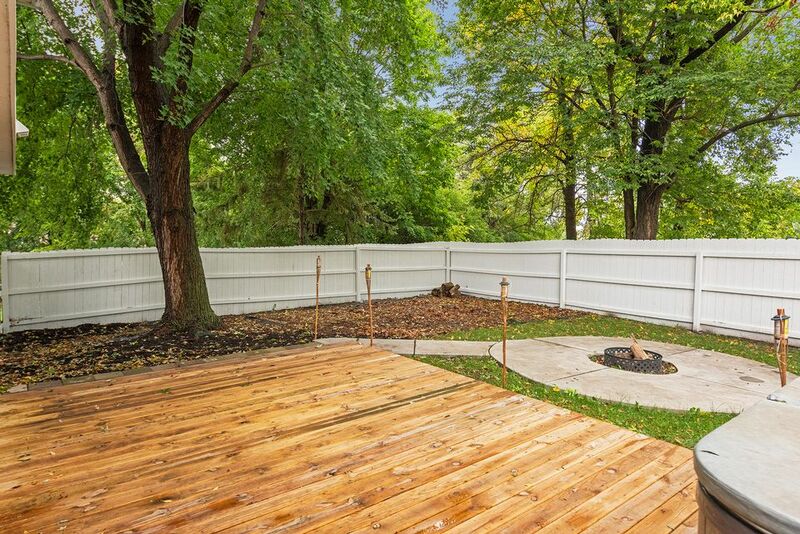 The large eat-in kitchen flows directly out to an even larger cedar deck in addition to a poured concrete fire pit. 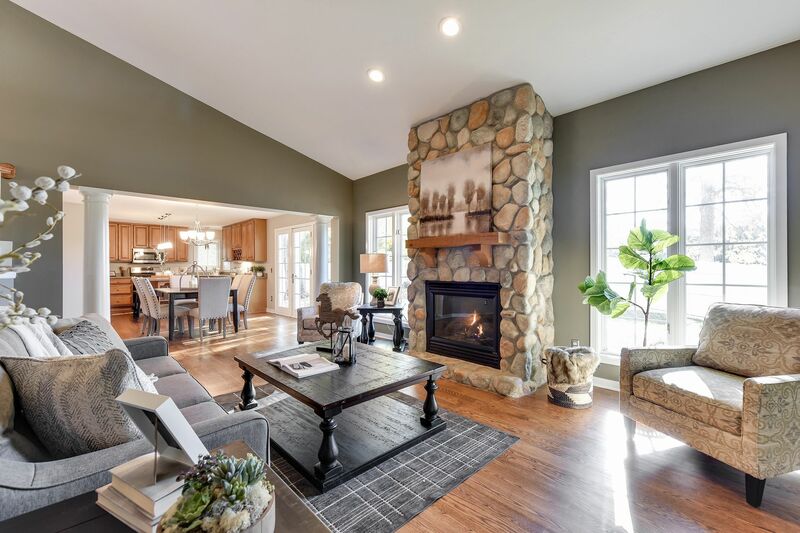 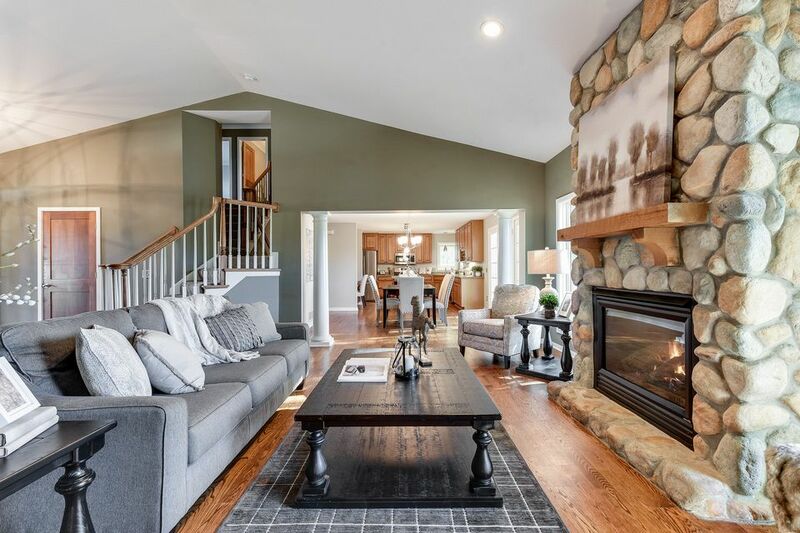 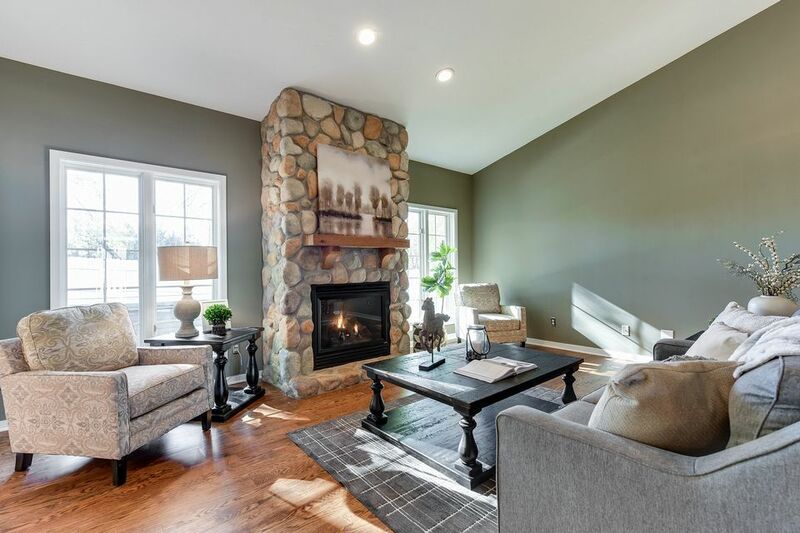 The family room includes a stunning floor to ceiling river rock stone fireplace with a large wooden mantel while the office and half-bathroom complete the main level. 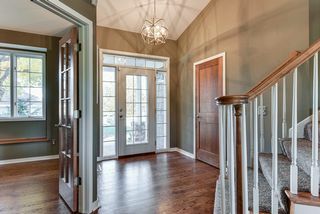 Hardwoods continue into the upper level hallway and bedrooms. 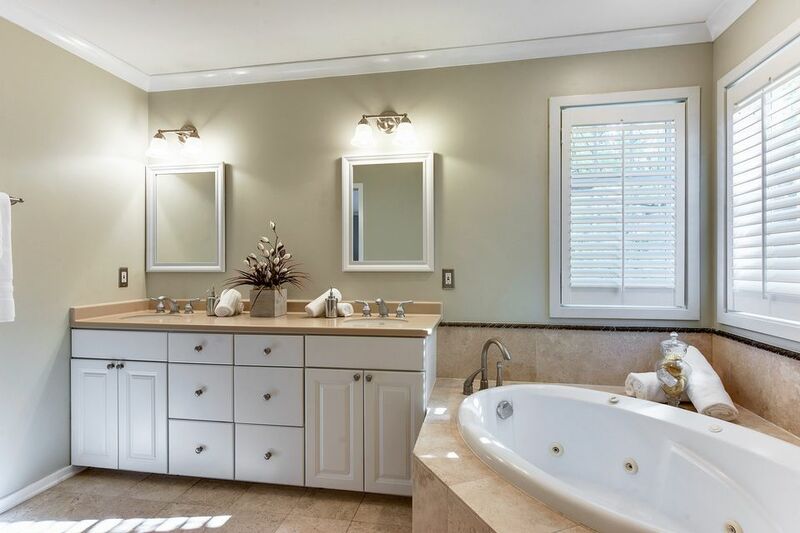 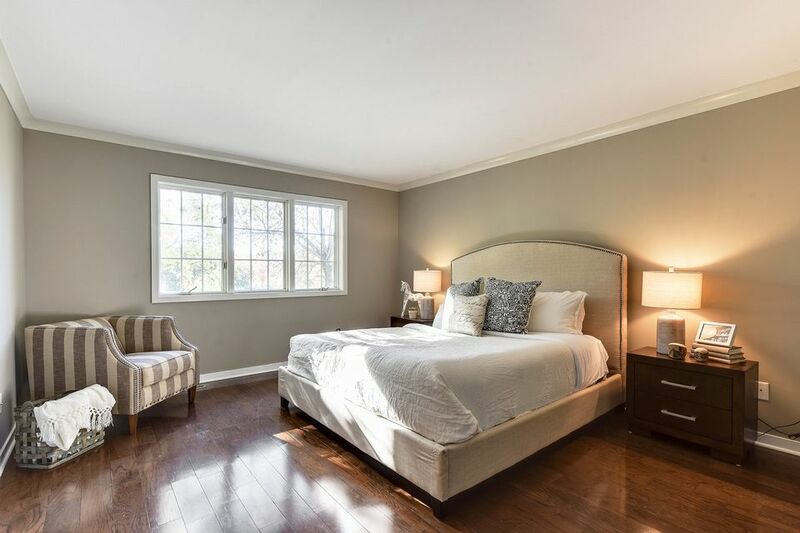 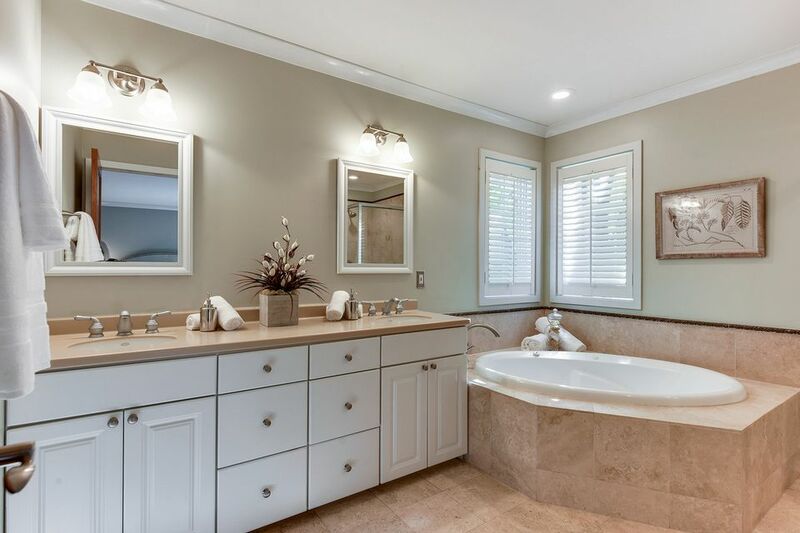 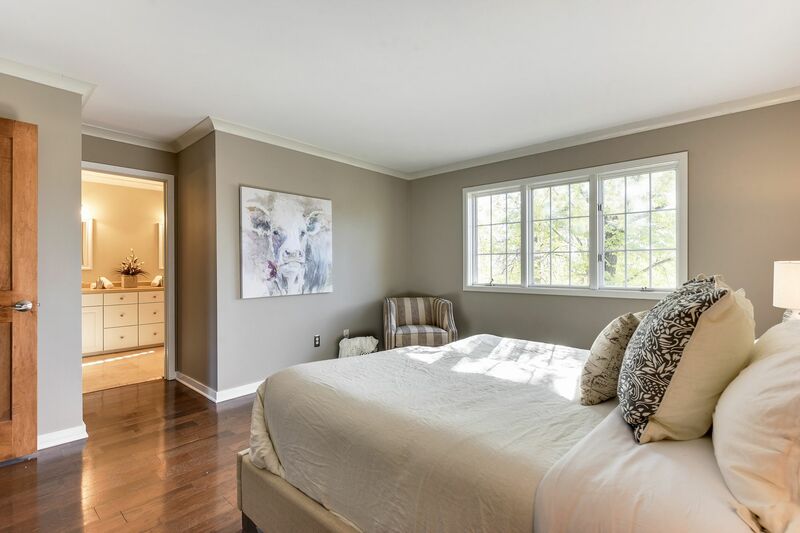 The spacious master suite has a private bathroom offering double sinks, separate tub/shower and a walk-in closet. There are also two additional children's bedrooms and a shared full bathroom on the upper level. 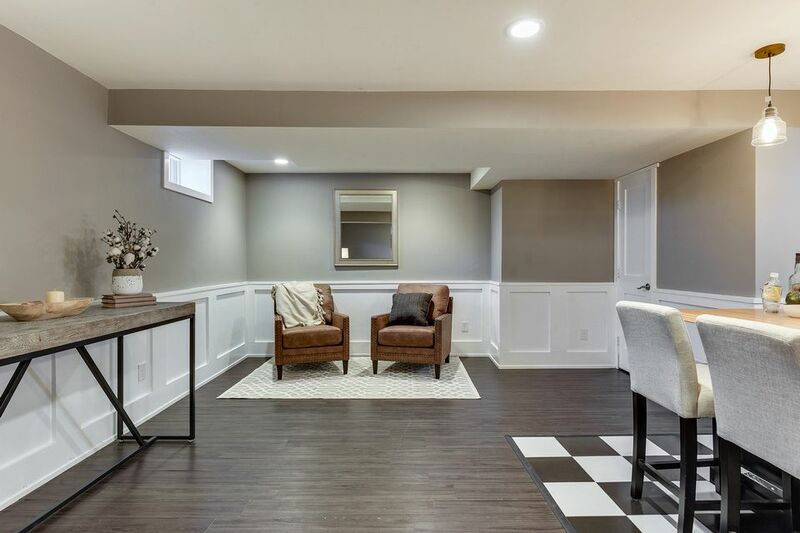 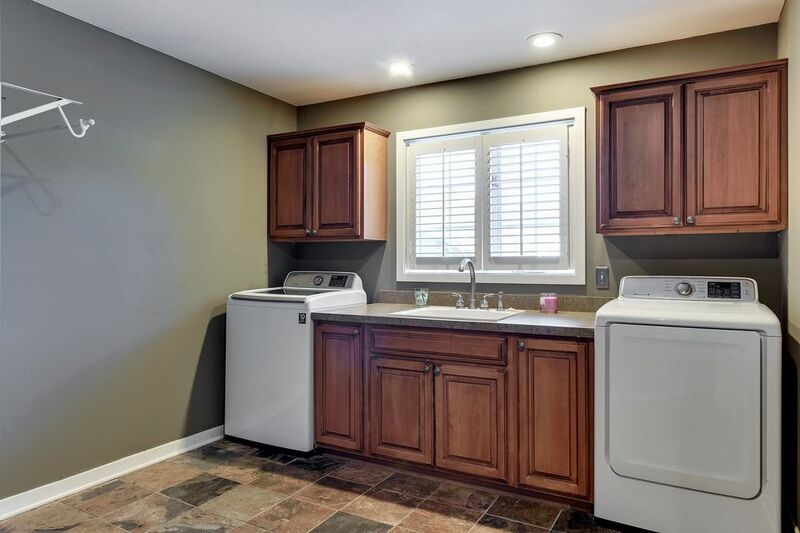 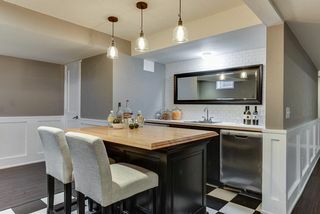 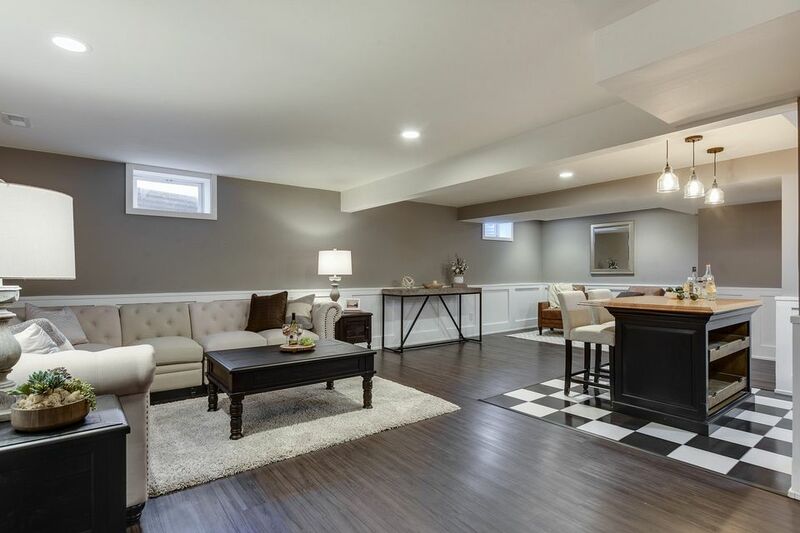 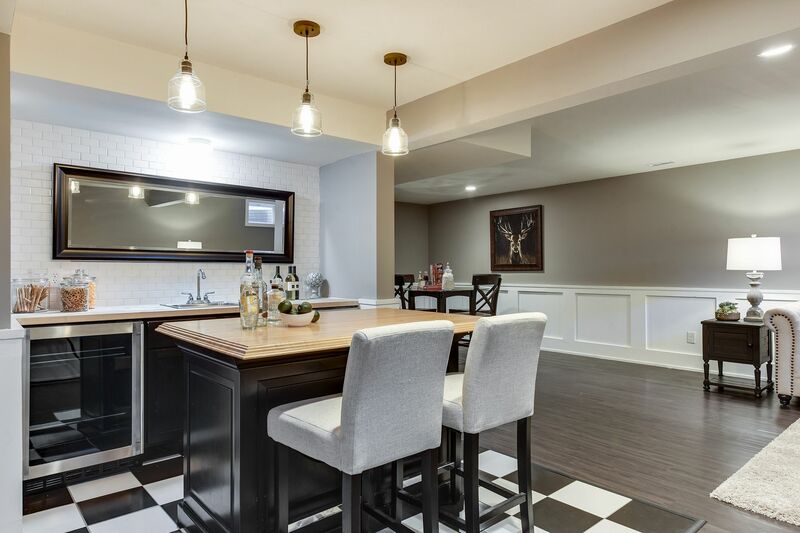 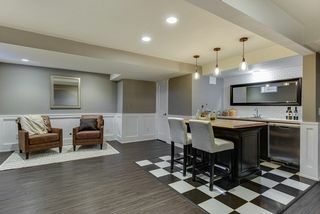 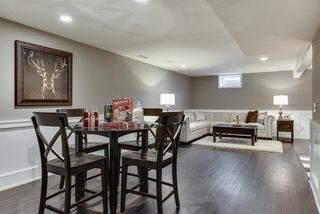 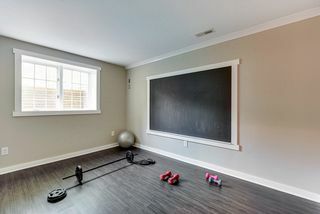 The lower level includes a family friendly amusement room showcasing a full wet bar, floating butcher block island, refrigerator and a dishwasher. 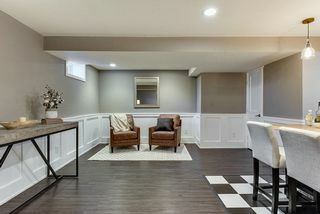 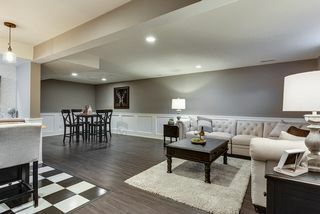 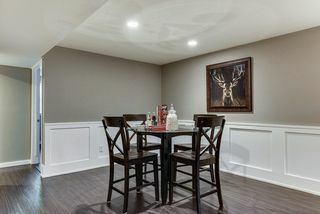 The game room is flanked by enameled wainscotting. 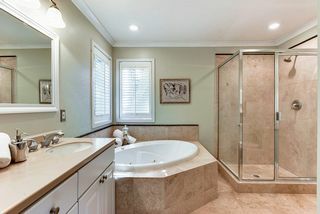 The fourth bedroom and or guest quarters offer a nicely appointed three-quarter bathroom with blue slate tile walk-in shower. 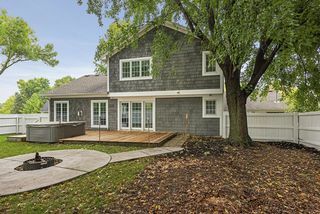 Quiet cul-de-sac neighborhood, close to parks, trails and shops. 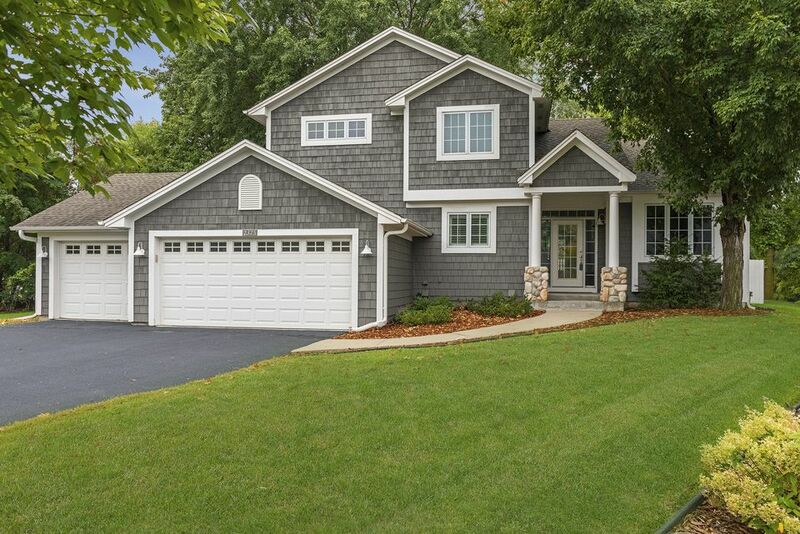 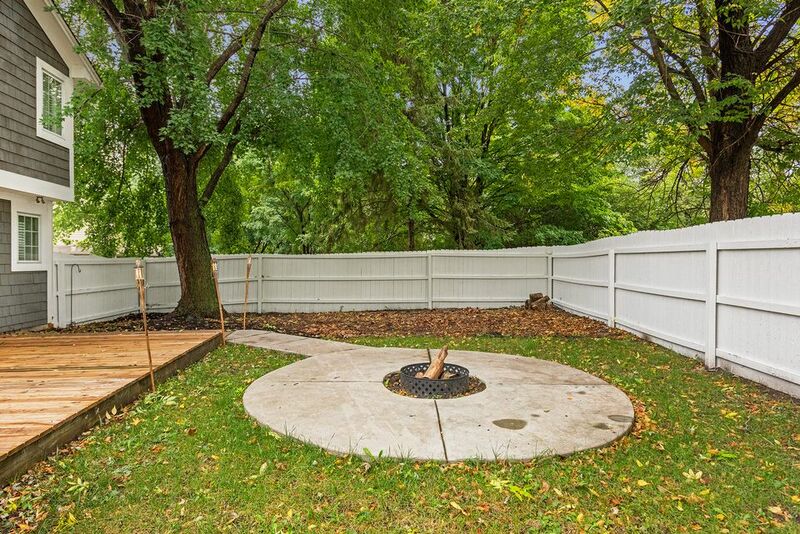 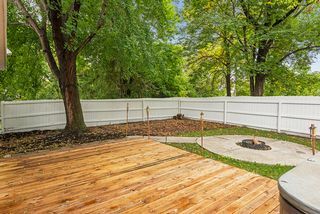 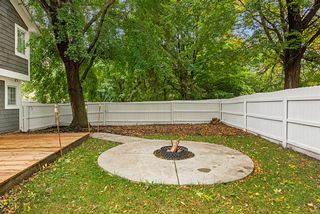 Close to both Bluff Creek Elementary & Chanhassen High School.